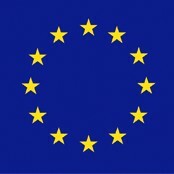 The European Union work in partnership with Human Relief Foundation to deliver peace building projects around the world. Our most current work is with Syrian refugees. Between 2013 and 2014, Human Relief Foundation (HRF) and Identity Centre (IC) developed and implemented an intensive conflict transformation capacity building project funded by the EU. The project equipped Jordanian grassroots organisations from four different governorates with the knowledge, skills and techniques required for them to help address and resolve the conflicts arising between Jordanian host communities and Syrian refugees. With the influx of Syrian refugees fleeing the civil war that began in Syria in 2011, many problems and conflicts arose in Jordan e.g. over resources, infrastructure, rent, jobs, cultural differences, conflicts between children in school, etc. In order to equip Jordanian grassroots organisations with knowledge, skills and techniques to understand, address, resolve and prevent these conflicts, HRF and Identity Centre (IC) developed and implemented an intensive conflict transformation capacity building project with support of the EU. The aim of the project was to strengthen the capacity of Jordanian civil Society Organisations (CSOs) and to encourage a society in which tensions between groups – in particular between Syrian refugees and their host communities – are resolved peacefully, based on mutual trust and understanding. In total the programme trained eight separate CSOs in matter of conflict sensitivity, prevention and peacebuilding.